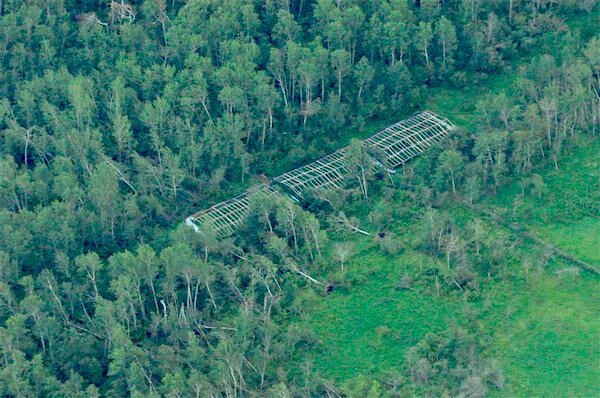 Two outdoor grow operations in rural Manitoba have been dismantled by police after a taken down on Wednesday. RCMP executed search warrants on properties in the RM of Alonsa near Cayer and in Crane River. Police seized 204 marijuana plants and 14 firearms from the Crane River property. A 49-year-old man and a 48-year-old woman of the RM of Alonsa were arrested and face drugs and weapons charges. The second seizure near Cayer turned up 725 marijuana plants, one firearm and about 20 pounds of processed marijuana. A 55-year-old Cayer man and a 26-year-old Winnipeg man face drugs and weapons charges. Michael John McKinnon, 42, of no fixed address has also been charged with growing marijuana and possession for the purpose of trafficking. He remains in police custody and will appear in Dauphin Court on August 14. The remaining individuals were released on promise to appears to Dauphin Court on October 17, 2012. The estimated street value of the drugs seized is about $1.3 million. The take down was part of a three-month investigation by Manitoba and Saskatchewan police agencies.